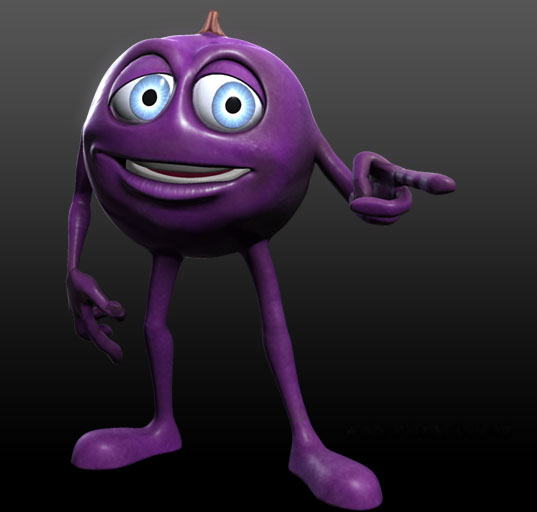 I created all the Berries for the TV commercials that would go along with Ribena's sponsorship of Dancing With The Stars. he team had to reproduce famous dance scenes from films using berries. One of the more surreal moments of my life was having to make Ribena Berries that would remind the viewer of Tom Cruise, Jennifer Grey, Fran Drescher, John Travolta and atrick Swayze. They look simple, but are actually quite technically challenging models to make, as doing the infamous 'Saturday Night Fever' dance moves with a spherical body which had to pull expressions... well, give it a try sometime! My client was Z-Space, who I have done a lot of TVC work for over the years, but marks my first team-up with Supervixen, who where impressed by my ability to nail their exacting character design, and later brought me on board to model Max, The Hotel's Combined Mascot.